Europe’s Roma and Sinti people (often labelled as ‘Gypsies’ historically) were targeted by the Nazis for total destruction. The Porrajmos, or Porajmos, which translates to 'the Devouring', is the term used to describe the Nazi genocide of Europe’s Roma and Sinti population. More than 200,000 Roma and Sinti were murdered or died as a result of starvation or disease; around 25% of the pre-war population. Many more were imprisoned, used as forced labour or subject to forced sterilisation and medical experimentation. Roma and Sinti men, women and children were targeted for persecution and imprisonment, with a specific focus on clearing Berlin before the city hosted the Olympic Games in 1936. As World War Two began, the persecution of Roma and Sinti people intensified. 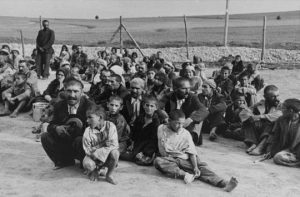 Roma and Sinti people were deported to ghettos including Łódź and to concentration camps including Dachau, Mauthausen and Auschwitz-Birkenau; which had a specific ‘Gypsy Camp’. On 26 February 1943, the first transport of Roma and Sinti men, women and children arrived in Auschwitz-Birkenau. Of the 23,000 Gypsies imprisoned within the camp, it is estimated that around 20,000 were murdered. On 2 August 1944 the Zigeunerlager (Gypsy Camp) at Auschwitz was liquidated: 2,897 Roma and Sinti people were murdered in the gas chambers and the remaining prisoners were deported to Buchenwald and Ravensbrück concentration camps for forced labour. The experience of Europe’s Roma and Sinti population has parallels with that of the Jewish people. Both populations were targeted on the grounds of their race and had previously suffered centuries of discrimination. 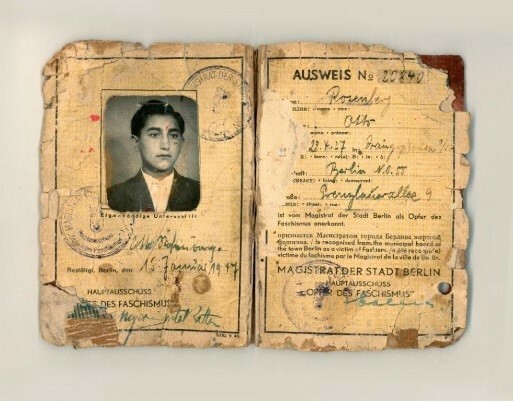 The Nuremberg Laws which prohibited marriage between Jews and Aryans and enshrined the loss of citizenship rights were also applied to Roma and Sinti. As with Jewish children, Roma and Sinti children were banned from public schools and adults found it increasingly difficult to maintain or secure employment. Despite the atrocities committed against Roma and Sinti people by the Nazi regime, their experiences were only fully recognised by the West German Government in 1981 and the Porrajmos is only now becoming more widely known. How should we remember the Nazis' Roma victims? Otto Rosenberg's family were Sinti. He lost most of his family, and survived Auschwitz-Birkenau and other camps, before being liberated at Bergen-Belsen. 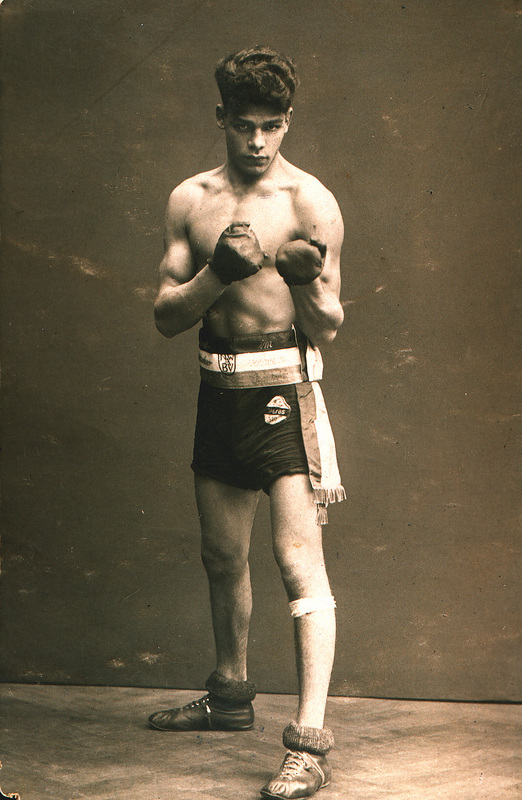 Johann ‘Rukeli’ Trollmann was a popular German Sinto boxer, who was discriminated against, marginalised, sterilised, and finally deported to a concentration camp, where he was murdered. Ceija Stojka was a Romany Gypsy who was persecuted by the Nazis. 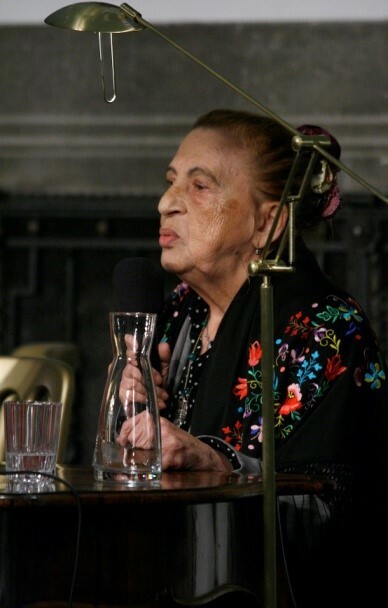 She was deported with 200 members of her extended family to Auschwitz where most of them were murdered upon arrival.